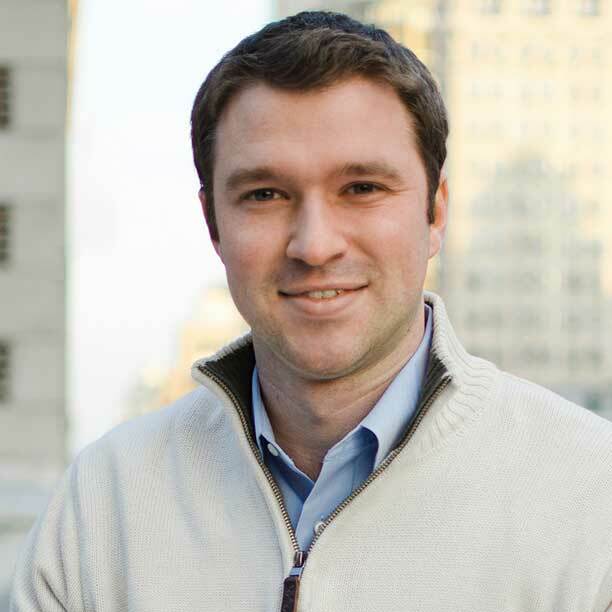 Nick is a Behavioral Data Analyst at Betterment. Previously he analyzed OpenView portfolio companies and their target markets to help them focus on opportunities for profitable growth. For all their strengths, machines can still fall short when it comes to analysis. Here are three things computers still can't do. Venture Capital is Swimming Upstream: Why? B2B marketing often looks like it was designed to put you to sleep, but it doesn't have to be. Nobody loves being an MS Excel data janitor. But if you have to be one, you might as well use an industrial mop instead of a toothbrush. Should Your VC Be Your Friend? Product Management, UX, and Development: What Ratio is Right for Your Company? Learn how to determine your ideal startup team ratio to hire the perfect mix of product managers, ux designers, and engineers. Moore’s Law is Coming to an End: So What? Reg F’D: How Will the SEC Respond to Carl Icahn’s 20 Billion Dollar Tweet? One tweet by investor Carl Icahn sent Apple's stock soaring — is this only the beginning of a major headache for the SEC? SEO: Are You Really as Good as You Think You Are? CRM Deduplication software is great, but sometimes you need to do it the old-fashioned way in Excel. Here's how, step-by-step. In part 1 of this 2-part series, I explained how to extract a list of buyers from your CRM. In this post, I explain how to analyze them. Abusing Market Power: Are Your Big Competitors Rigging the Game? Apple isn't the first tech company to take advantage of its market power. Here's how to identify and respond to anti-competitive behavior. Senior executives rarely have 30 minutes to burn on your B2B market research interview. Here's what to do if they only give you 5 minutes. Having trouble calculating marketing ROI for your marketing campaign? My advice is to pull the plug. Bad News for Marketers: Are Tracking Cookies Headed for Deletion? Some think that the 'Do Not Track' movement marks the beginning of the end for tracking cookies. Don't count on it. Mashery and Layer 7 Get Acquired: Who’s Next in the API Ecosystem? Meetings can be a great way to get on the same page, or a tremendous waste of time. As your company scales, you can't afford the latter. As Paul Graham says, the best consumer startups come from personal experience. The same is not true in B2B entrepreneurship. In an interview with Wired, Google CEO Larry Page told entrepreneurs not to pay attention to their competition. I respectfully disagree. Every B2B sale, no matter how big or small has its own unique challenges and pitfalls. Selling to startups is no exception. In its bold foray into original content, Amazon Prime is using lean startup methodology to disrupt a classic waterfall industry. When Mobile Computing Burns Out, What Comes Next? Market research is fraught with biases. Here are the four most common ones that will distort your results if left unchecked. In case you haven’t heard, Gmail for Business is no longer free. That’s bad news for any startup that hasn’t signed up for it yet. If your startup pitch resembles Prestige Worldwide's, it isn't a good thing. Avoid these 5 meaningless startup buzzwords at all costs. In order to take on an established competitor, your company needs to establish a competitive marketing strategy using these five steps. UX: Can Usability Be Sticky Too? Email Spam Law Guide Part 2: How email servers and blacklists identify spam, and how to email market without being spammed. What Qualifies as a B2B Marketing Channel? In order to fully leverage the power of analysis, your organization needs to implement a culture of fact-based decision making. OpenView Labs scoured the Internet to find the most qualified experts who can help your company develop a cohesive go-to-market strategy. Did Facebook Underpay for Instagram? How Sensitive is My Business to an Economic Downturn?